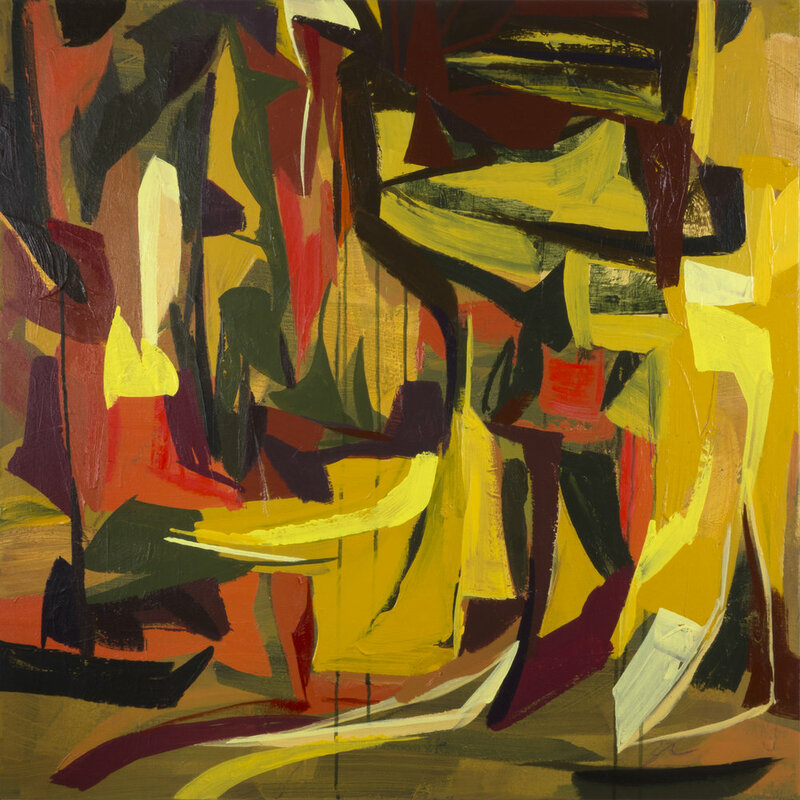 Abstract Expressionism is a post-World War II movement that occurred in New York during the 1940s and 50s, and there are numerous artists that work in abstract expressionistic modes today. This exhibition represents the work of six contemporary painters that have been heavily influenced by this movement of art— the first art movement to put New York City at the center of the Western art in the world. On exhibition are the works of Jay Zerbe from Indiana, Margaret Glew from Toronto, Peter Maslow from Brooklyn, Matthew Dibble from Cleveland, and Katherine and Steven Aimone who live in Asheville, North Carolina and Rockland, Maine. A lot of people associate the AbEx movement primarily with the works of Jackson Pollock; however there were many artists involved that pursued different styles. What bound these artists together was not a particular style but a commitment to working from an emotional source and with universal themes. In the aftermath of the trauma of the war, they sought, in part, to express the seriousness of loss in America and the world. As these young artists succeeded, the spotlight moved from Paris to New York, setting the stage for America’s post-war prominence in the international art world. The artists featured in this exhibition reflect reverence for the works from this era. Abstract Expressionism is their artistic heritage. “Without this movement, none of us who paint in this mode would likely be doing this type of painting,” notes show organizer Katherine Aimone. “AbEx artists gifted us that freedom.” The large and vital group of painters throughout the world who work in this mode still continue to gain from the philosophical and visual roots of the original movement, while adding their own relevant influences. This kind of painting can be a joyous and imaginative exploration. But for it to be good painting, the process can take years. 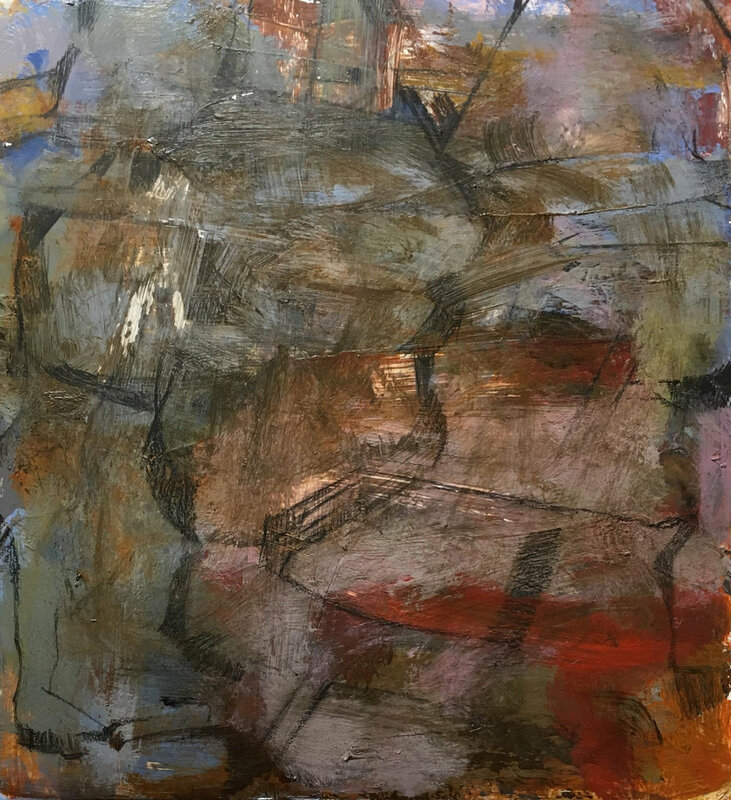 The artists in this show are all dedicated to that process, diligently working in their studios to uncover their most authentic work, grounding their work with structure while also exploring the spontaneous nature of expressionism. Abstract art in general is an internal process rather than outwardly motivated one. It can be difficult and challenging work, and there are many layers in each painter’s work. Since abstract painters begin with no plan, they are in a way akin to improvisational jazz musicians— they are visual composers. They are process-oriented… each step leads to the next, and along the way are many surprises. Each artist in this show connects differently with the larger movement of Abstract Expressionism—its physicality, its philosophical nature, and its lore.